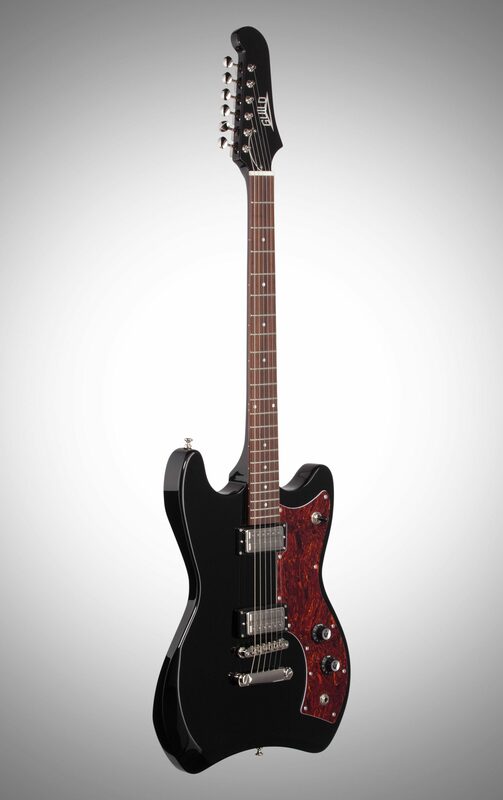 The Guild Jetstar embodies the ultimate retro vibe with a unique body shape that's been off the grid since the 1960s. 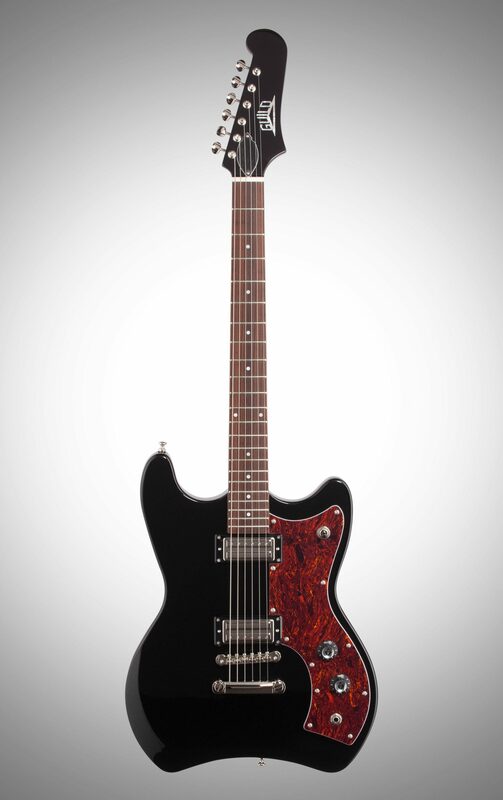 In terms of style, this reissue remains faithful to the first iteration of the S-50 Jetstar with a solid mahogany body and set neck. 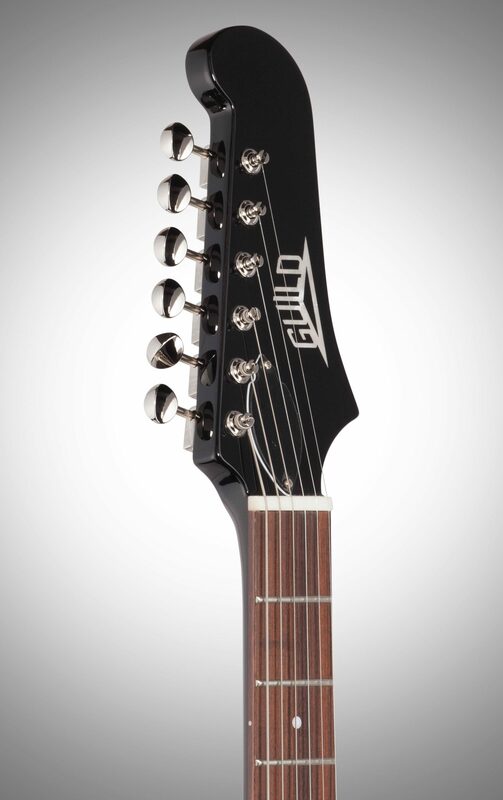 Further period-correct details include six inline tuning machines and Guild's rare pearloid pyramid logo on a scroll-shaped headstock. 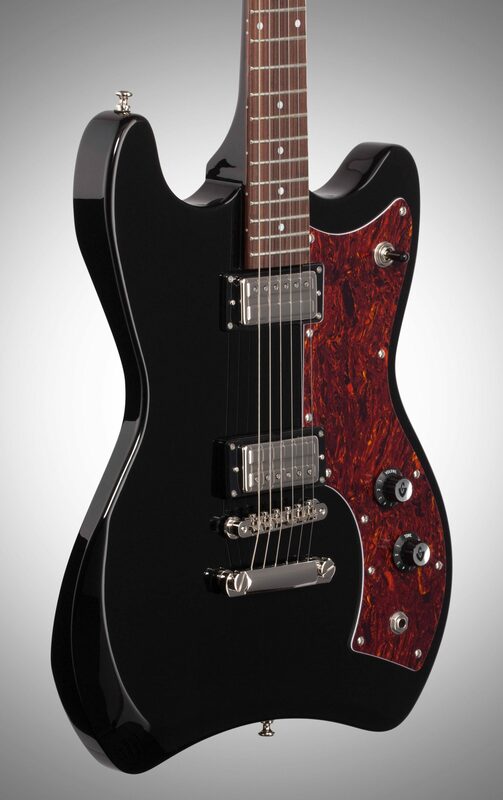 The Guild Jetstar features a shallow C shape mahogany neck and pao ferro fingerboard with simple pearloid fret markers. Instead of its original shortened neck, the newly modified Jetstar has a 25 1/2" scale length for faster feel and improved response. Dual Guild LB-1 Little Bucker pickups bring a usable array of tones from sparkly clean single coil-esque spank to thick and warm humbucker sounds that fatten and sing when driven. The Jetstar is available in Seafoam Green with a cream pickguard, or Vintage White or Black with a tortoiseshell pickguard. It includes Guild's deluxe padded gig bag. 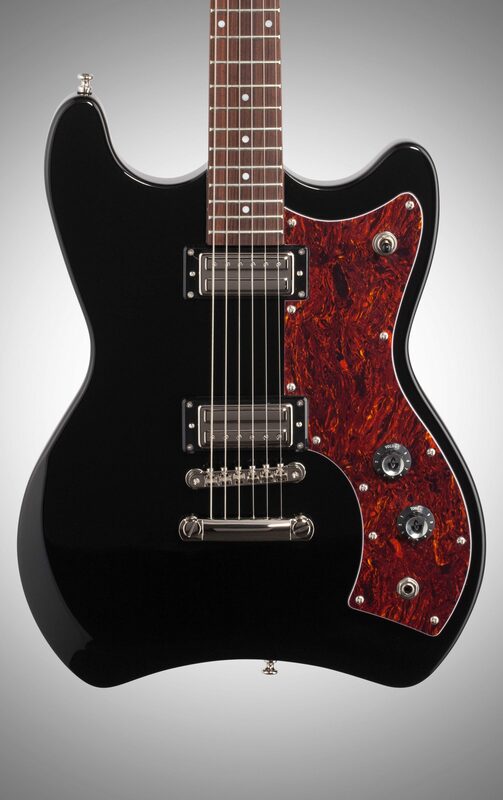 The Guild LB-1 "Little Bucker" was first offered in 1962 as an upgrade from single coil pickups. Tonally, it has a little more jangle than a traditional PAF humbucker. The resistance and inductance of these pickups sit comfortably between a typical single coil and typical humbucker -- contributing to the airy nature of the LB-1 without compromising its warmth. 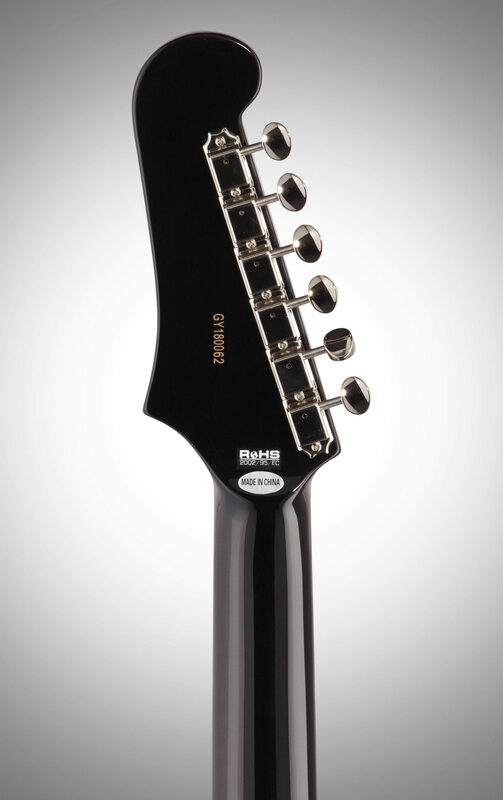 The LB-1 has a unique footprint, placing it in-between a mini-bucker and a full size humbucker. zZounds is an authorized dealer of Guild products. 2: Bridge and Neck Pickups -- Position 3: Neck"
"Very nice sound; quality throughout"
Overall: I'm a Fender fan and thought I'd try this guitar, it's Fender scale and style. I also like the 9.5" radius and most other makers use 12". This is a 10" radius which sounded close enough.First thing I noticed was the weight - in the pictures it looks light and thin, however it is a good sized slab of solid mahogany and it's wider than it looks. 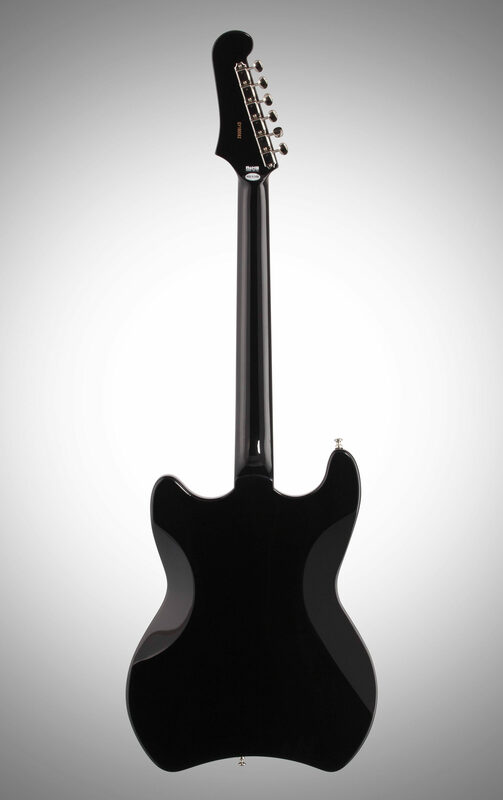 It's very comfortable and balanced and the top arm sticks comfortably in my ribs - it's a good fit.The hardware looks substantial, and simple, the neck is a set neck and the fingerboard is a very thick slab of pau ferro. The 10" radius is more comfortable for me than the 9.5" actually. The peghead angles back, no string tree. These things all contribute to the tone which is surprisingly rich and smooth. It reminds me of the Les Paul Studio I used to have, but clearer and more bell-like. It doesn't sound thin like a Fender, there's a lot of gravy around the notes, and sustain until next week. It adds legato to your playing and I think it smooths out flaws in my playing, one of those instruments that plays itself. Setup was perfect out of the box, I haven't had to do a thing to it. Plays easier than anything else I have.Case is good quality (gig bag) but is a little large, seems to be made for a semi-hollow of which I believe Guild has several. 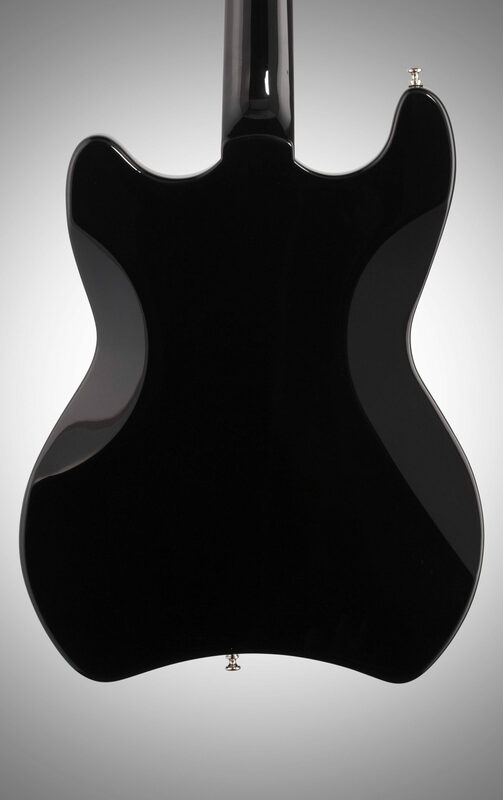 I would like a case that doesn't allow the guitar to slide around inside. But my closet doesn't care. It is a thick, padded gig bag.Considering the price, I'd have to call this a great value. It sounds and feels pro. Only problem is fitting it into a genre, it is a very nice sound for pop, clear as a bell, but not exactly twangy or gritty or jazzy. Kind of in the middle of everything. Some artist needs to make it famous.